For use with Multi ll and Buddy ll range of wet & dry vacuums. 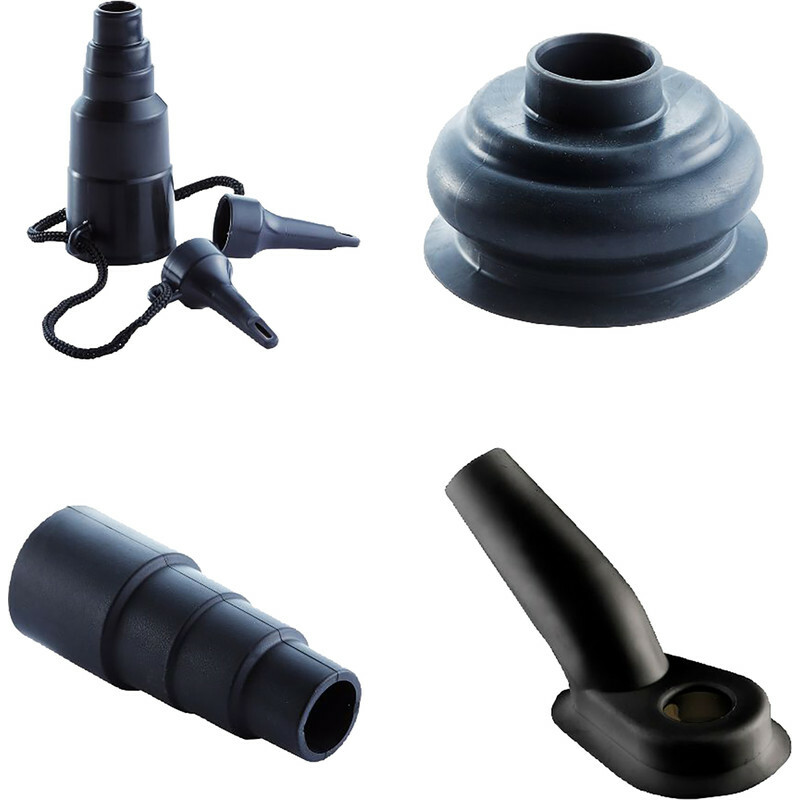 Includes set of nozzles for use when using blow function - ideal for inflating air beds and lilos; the end for blowing dirt and debris out of hard to reach places. Wall drill suction nozzle - holds the nozzle in place covering the hole to be drilled. Plunger nozzle - brilliant for unblocking drain and sinks, baths and shower trays. An additional power tool adaptor - can be cut to fit all standard power tools that generate dust when in use.